Pull My Daisy is a 1959 short film that typifies the Beat Generation. 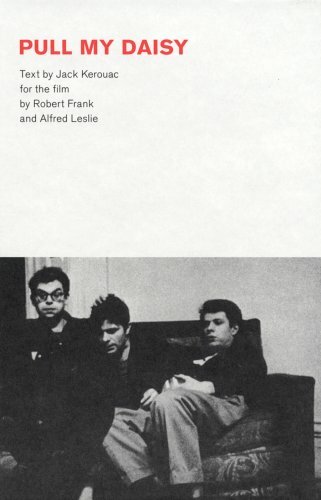 Directed by Robert Frank and Alfred Leslie, Daisy was adapted by Jack Kerouac from the third act of a stage play he never finished entitled Beat Generation. Kerouac also provided improvised narration. It starred Allen Ginsberg, Gregory Corso, Larry Rivers, Peter Orlovsky, David Amram, Richard Bellamy, Alice Neel, Sally Gross and Pablo, Frank’s then-infant son. Based on an incident in the life of Neal Cassady and his wife Carolyn, Daisy tells the story of a railway brakeman whose painter wife invites a respectable bishop over for dinner. However, the brakeman’s bohemian friends crash the party, with comic results. Pull My Daisy was praised for years as an improvisational masterpiece, until Leslie revealed in 1968 that the film was actually carefully planned, rehearsed, and directed by him and Frank.